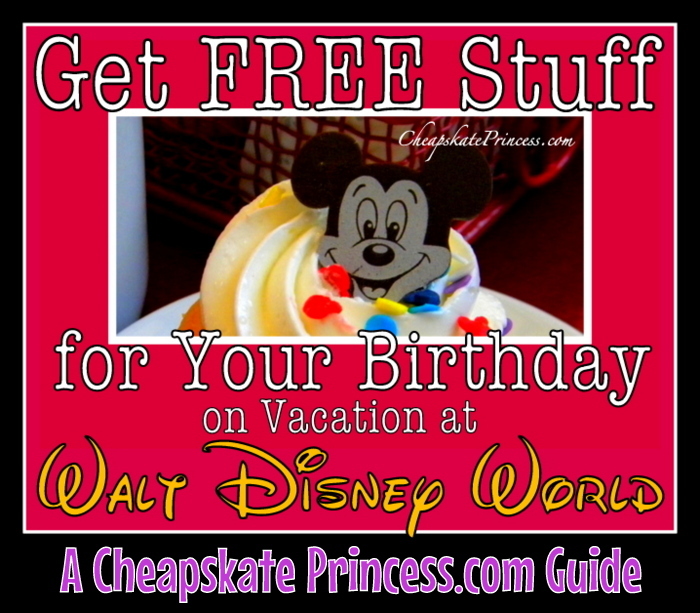 Celebrating Birthdays at Walt Disney World with FREEbies: A Cheapskate Princess Guide! Happy Birthday to you! Or your child, or your friend, or even grandma. Did you know that you can “celebrate” a birthday at Disney World six months before your actual birthday and up to six months after your actual birthday? That’s a Disney World suggestion, not something I made up because I am cheap. Using my math, that gives you about 365 days a year to celebrate a birthday at Walt Disney World.